Are you wondering how you can protect your tooth enamel from eroding? Read this post to find out how you can prevent tooth enamel erosion. What foods are eating your enamel? If you’re someone who likes consuming lots and lots of sweets then this could be one of the main reasons for your enamel getting eaten away. The reason for this is that the bacteria inside our mouth likes to live off the sugar that collects in our mouth and then creates acids that start eating at your enamel. You also want to make sure that you avoid eating too many sour foods as they contain high amounts of acid. 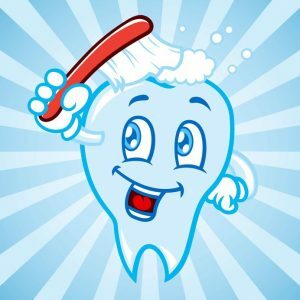 If you don’t do your part by brushing and rinsing your teeth then it could cause more serious problems. What are some other factors that could cause enamel erosion? Any type of drug or medication that contains high amounts of acid in them. Brushing too hard can also cause your enamel to erode. You want to make sure that you choose a soft bristled brush and brush your teeth gently. Lastly, if you grind your teeth too much it can cause your enamel to erode so be sure to ask your dentist about a mouthguard. How can you protect the enamel of your teeth? If you’re someone who likes eating or drinking beverages that have high amounts of acid in them such as soda and citrus fruits and juices then it would be wise to cut down on these. If you do eat food or drink beverages that are acidic then be sure to rinse your mouth with water. Also, by using a straw while drinking acidic beverages can help avoid hurting your teeth enamel. If you find yourself wanting to chew on gum, just make sure it’s sugarless gum as it can help keep your teeth clean. If you have dry mouth, then make sure that you’re drinking enough water throughout the day. When brushing your teeth make sure that you use a soft toothbrush and also, make sure that your toothpaste and mouthwash contain fluoride. Hopefully, this post will help you with avoiding tooth enamel erosion. Should you have further questions or concerns, please speak with your oral care provider.